Whenever I think about summer months when I was a child I see big baskets of strawberries. At the beginning of a summer I would eat strawberries straight from a bush, but as the days went by my eagerness towards them would die out slowly. One of the reasons would be the abundance, they were brought over from an allotment every single day. My mom would encourage me to eat them as a snack. If we don’t eat them, they get spoiled – she said. So every day my mom would set up an example, she would place strawberries into a bowl, add some thick cream and sprinkle it with sugar. Then she would smash it with a fork and in this kind of smoothie texture she would dig into it. I’ve never liked it. I was always a minimalist. I would eat them with no additions, or if strawberries weren’t super sweet I would have sprinkle them with some sugar. Last year when we visited Tuscany, we were served strawberries with honey and mint. I don’t know why I haven’t thought about it before. Such a simple upgrade took them into new level. I know none of these is a proper recipe, but I thought it maybe interesting to learn how do you eat strawberries. Maybe there is some brilliant trick you can share with me? We were traveling a lot last week. It means a lot of photos and stories from my favourite places from Dublin and surroundings, but it also means I wasn’t really cooking for a while, so hopefully soon I will make some real, delicious recipe for you. Place the strawberries in a bowl and sprinkle them with some sugar. The amount depends on strawberries sweetness and your liking. Place the strawberries in a bowl and drizzle them with some honey. The amount depends on the fruit sweetness and your liking. Stir in mint leaves. 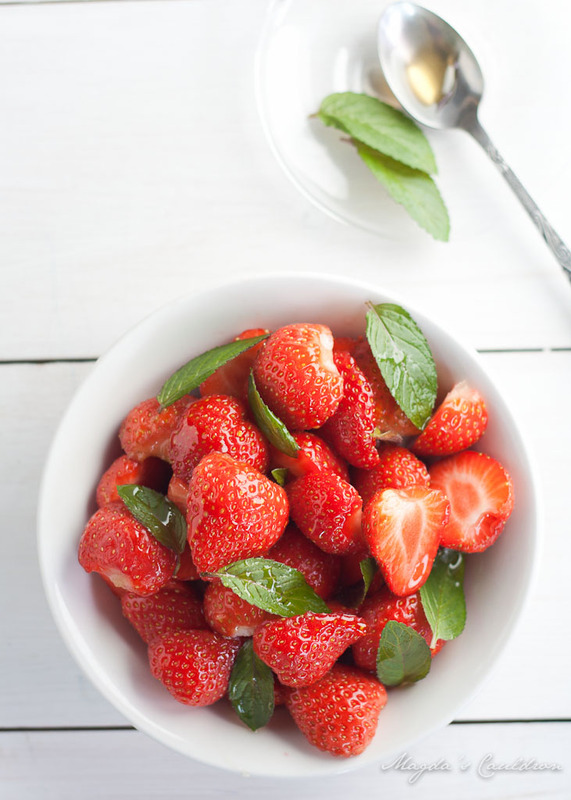 Place the strawberries in a bowl and drizzle them with some honey and rose water. The amount depends on the fruit sweetness and your liking. Place the strawberries in a bowl and sprinkle them with some sugar. Add a few spoons of cream. Smash strawberries with a fork lightly. Those were my ways for strawberries, what are yours? Posted in Desserts, Snacks and tagged double cream, honey, rose water, strawberries. Bookmark the permalink. Magda I’ve never considered strawberries honey and mint either! Like you I am a minimalist and love my strawbs simple, maybe with a squeeze of lemon and a light sprinkle of sugar…but your Tuscan version is deifinitely something I must try…thank you! Lou, you should, especially if the honey is delicious, like the one we had in Italy, but I guess everything tastes better in Tuscany…. I love the sound of strawberries and rose water! That’s my latest discovery Ciara. I’ve been looking into strawberry smoothies and one of them used rose water, such a brilliant idea. 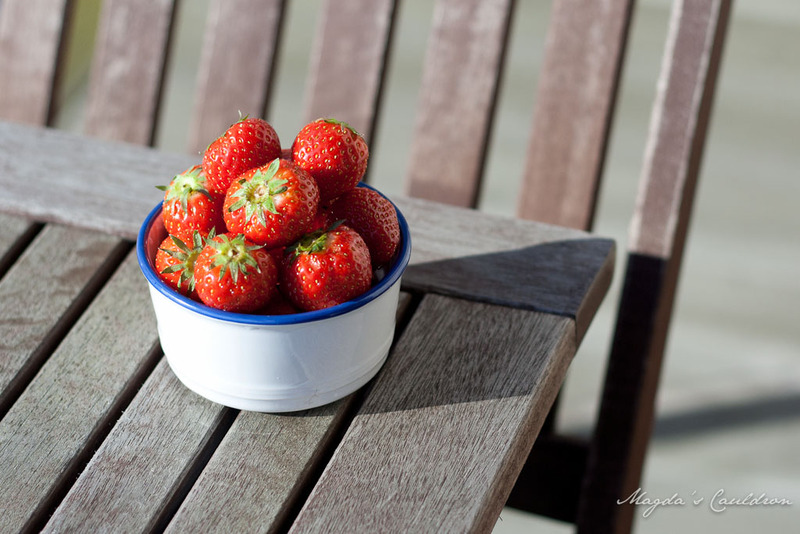 Strawberries – still wet from washing dipped in sugar! thats how i had them as a child…yum! i love strawberries with cream. i’ve recently discovered i like the flavor of rosewater, so i’d like to try that. the honey and mint sounds nice too. Huntfortheverybest, there is something delicious about rosewater, I have resolution to use it more often.